Lock in a great price for Crowne Plaza Torreon – rated 8.6 by recent guests! the staff, thebuilding, the rooms, the bar, pool and location great! Staff was very nice at check in and I appreciate having an english speaking person at the hotel, while traveling in Mexico. This was very nice. The restaurant is excellent. The personnel is excellent. Excelente desayuno. Personal muy amable y atento. Muy buen gym. Hotel muy limpio y confortable, muy buena atención por parte del personal. Excelente espacio de estacionamiento. La cama estaba cómoda y grande. El baño estaba limpio y buena iluminación. El personal muy amable. Crowne Plaza Torreon This rating is a reflection of how the property compares to the industry standard when it comes to price, facilities and services available. It's based on a self-evaluation by the property. Use this rating to help choose your stay! One of our top picks in Torreón.Featuring free Wi-Fi and a spa with an indoor pool, Crowne Plaza Torreon is located 3.7 mi from Torreon Airport. The air-conditioned rooms include flat-screen satellite TV and a CD player. 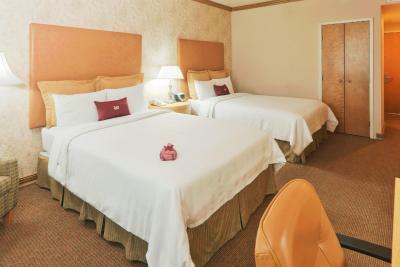 Decorated in soft colors, the Torreon Crowne Plaza’s spacious rooms include a mini-bar and coffee-making facilities. Bathrooms come with toiletries and a hairdryer. International buffet meals are served in the hotel’s Las Ventanas restaurant. The lobby bar and café serve light meals and drinks. 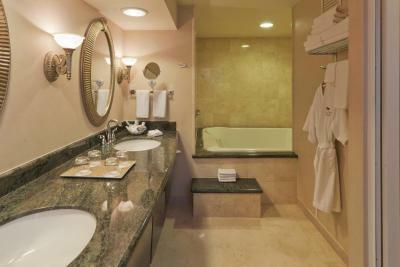 Guests can make use of the hotel’s gym and hydromassage bath. The spa features a sauna and offers treatments including massage. Crowne Plaza Torreon is 3.1 mi from the famous Cristo de las Noas Statue and Viewpoint, while Alameda de Zaragoza Square is a 10-minute drive away. Free parking is offered at the hotel. This property also has one of the top-rated locations in Torreón! Guests are happier about it compared to other properties in the area. When would you like to stay at Crowne Plaza Torreon? This double room features a tea/coffee maker, air conditioning and CD player. This double room has a mini-bar, bathrobe and satellite TV. This double room has a mini-bar, air conditioning and CD player. This room has a king-size bed and a sofa bed. This room features free Wi-Fi, a flat-screen TV and a safety-deposit box. There is also a private bathroom with a shower and toilet. The room includes an eye mask and earplugs. House Rules Crowne Plaza Torreon takes special requests – add in the next step! Crowne Plaza Torreon accepts these cards and reserves the right to temporarily hold an amount prior to arrival. Water pressure low for fancy shower. the breakfast especially for holidays sucked! I wish that there was an option on Booking for a rate to include breakfast for this hotel. In most of the hotels I stay in the US and Mexico breakfast is included. I only found that is was not after I had breakfast and had to pay out of pocket. It was a bit of a surprise. It would be excellent if the rooms would have frigobars and microwaves.